Black students are doing battle for their lives as reports of the KKK on campus and repeated threats of violence targeting Black students and all Black people. "We will not continue to be called niggers on this campus, believe that!" Butler's hunger strike ended with the resignation of the University of Missouri chancellor, but the fight for justice continues. 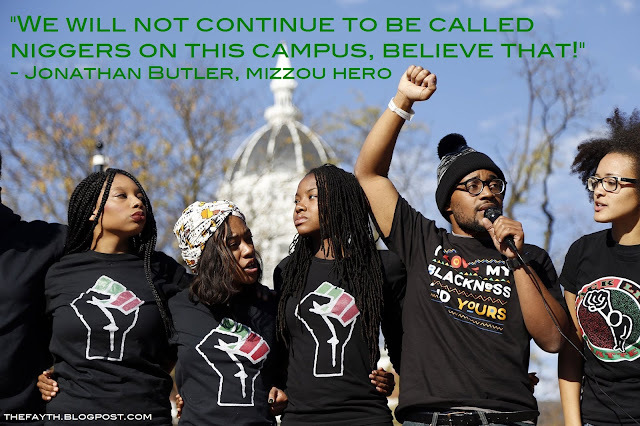 WE STAND WITH YOU JONATHAN BUTLER AND ALL BLACK STUDENTS AT MIZZOU!